Utilizing Wilmington's newest public park, the first "Around the Fountain" festival was held at the recently reconstructed Cool Springs Reservoir Park on Sunday, August 29th. Located behind Ursuline Academy, the reservoir opened as a park with a pond and fountain, a bandstand and open grassy space in October 2009. With "Around the Fountain," the space has proven to be an ideal place for an outdoor festival, with a handful artists displaying artwork and crafts along the circular pathway, food vendors Yatz's water ice and Fat Rick's barbecue, the Delaware Humane Society (who organized a day full of canine events such as the dog parade) and live music. Set up in the semi-circle in front of the Cool Springs fountain, musical acts Born Sisters, Sean Dougherty (a guitar teacher at The Grand) and former Montana Wildaxe member Chip Porter and Friends entertained the neighbors as they strolled the arts-lined sidewalks and seated on the outdoor bandstand's steps. Despite the sweltering heat of the day, the arts kiosks, featuring local artists, including Tim Dunham (Photos by TNT), Jannine (Pick Me) and Faith Rosenblatt (Gimme Faith) were a reminder that Delaware's fall arts festival season is just about here -- next up, the Arden Fair on September 4th and the Brandywine Festival of the Arts on September 11th and 12th. I am a local and I loved it! 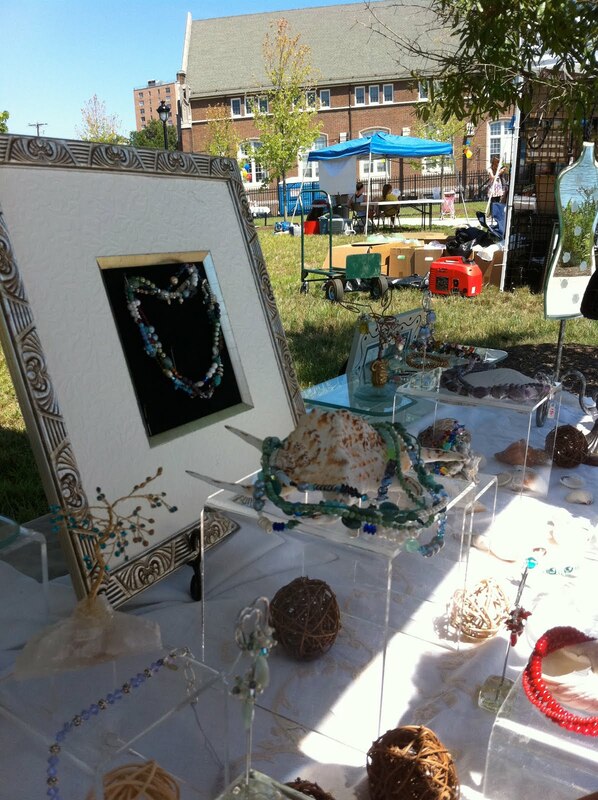 This was a great chance to mingle with neighbors and show off our arts-friendly park and neighborhood to "strangers". Really fun; hope it becomes a regular thing. Hope this becomes an annual event--beautiful site! Lots of possibilities for other public uses--farmers market perhaps!